23 Enigma was a project for the Radical City event at the Liverpool Everyman, hosted by Almanac – a celebration of radical dissent in the city. 23 Enigma was a spoken word journey through the subcultural ley lines of the city with a particular focus on the activities of Peter O’Halligan and Sean Halligan at the Liverpool School of Language, Music, Dream and Pun in Mathew Street in the early 1970’s. The piece was performed against a backdrop of images of 1970’s Liverpool taken from the archive of photographer Sean Halligan, one of the great genius loci poets of this wind and rain lashed port. On Sunday 2nd December a plaque was unveiled in Mathew Street to commemorate the wonders of that time and place. The piece I wrote’s full title was 23 Enigma Vortex Sutra. Ken Campbell pauses, caterpillar eyebrows twitching, on the wasteland where The Cavern once stood, amidst a host of fire flowers to pick what he believes to be a magnolia. Waiting for the stars to fall, for the world to change, for the walls of the sky to crumble and for someone to walk through the cracks in the cosmos and scatter some radical dust in the Liverpool night. The dream vision of the psychologist C.G Jung. That evening the Science Fiction Theatre of Liverpool presents its adaptation of the Illuminatus Trilogy, just yards away from the very spot Jung entered in his dream. Round about this time, William Burroughs tips off Ken Campbell about the Number 23. 23 in telegrapher’s code means ‘bust’ or ‘break apart’, while Hexagram 23 in the I Ching also means ‘break apart’. In the process of conception, mothers and fathers each contribute 23 chromosomes to the fertilised egg, The number 23 is the key to the secrets of the universe and Mathew Street is the source of light. 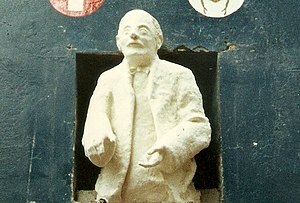 Round about this time – possibly on the 23rd of the month but no one can remember – the Everyman actor Bob Hewis hurls a brick through the window of the Freemason’s Hall on Hope Street whilst under the influence of Guinness and cough mixture, seeing this as a shamanistic assault on the secret brotherhood. He gives himself up to the police citing the fact that he was only obeying orders from a higher power. The brick becomes a celebrity in its own right and is often to be seen surrounded by admirers in the Everyman Bistro. In Atticus bookshop on Hardman Street a quotation is pinned on the notice board, ‘The artist’s one advantage is this: that his lunacy is not locked up but enjoys a certain standing because of its products.’ Madness is everywhere on the streets of Liverpool in 1976 where the artist, like the idiot and the clown, sits on the edge of the world. One push may send him over it. 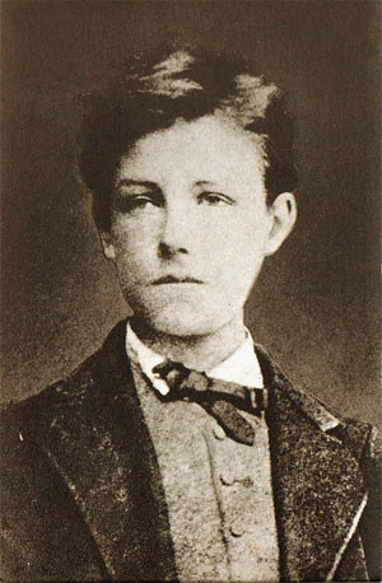 In 1877 Arthur Rimbaud arrives in Liverpool, bearded, weather beaten, slightly rheumatic, on his way from Java to Le Havre. He visits a Chinese opium den, drinks whisky in the Hare and Hounds on Commutation Row and flits like a shadow through the warehouses of Mathew Street where he writes his Illuminations. If you add the numbers 1877 together they come to 23. Somewhere in the haunted city where time dissolves, the ghosts of William Burroughs and Ken Campbell meet. 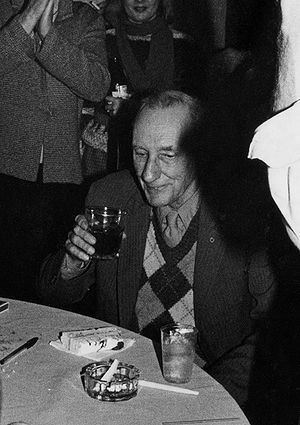 Burroughs comments furtively that some people are clusters of bloody synchronicities in the number 23. Aleister Crowley’s Cabalistic Dictionary defined 23 as the number of “parting, removal, separation; joy, a thread, life.” It was also noticed that the mad bomber in the disaster movie Airport sat in Seat 23. He tells all this to Ken Campbell who accepts it as a given. Burroughs dissolves back to his book signing on Hardman Street and Ken heads for the Kardomah Cafe for his tea, excited once again by the 23 Enigma. Even in death the two men are charging the city’s batteries. Adrian Henri performs his version of TS Eliot’s The Waste Land backed by Alan Peters and The Lawnmower. ‘April is the cruellest month, breeding Lilacs out of the dead land, mixing memory and desire, stirring dull roots with spring rain’ becomes a blues lullaby, murmured sweetly in the downstairs bar of this very theatre. The audience pause over their roll-ups and watch the ghosts of poets moving through twisting garlands of cigarette smoke. If you happened to drop into O’Halligan’s Parlour on this day for a cup of tea you might catch a glimpse of Deaf School’s singer Enrico Cadillac Junior sporting his Clark Gable mustache; the Modern Antiquarian Julian Cope, the swaggering poet ruffian Pete Wylie, future members of Echo and the Bunnymen and Jayne Casey, huddled at tables, imagining their own revolutions. The man with the carpenters pencil behind his ear is the 23 year old Bill Drummond who is building the sets for the Illuminatus Trilogy in 1976. If you add the numbers 1 and 9 and 7 and 6 together they equal 23. 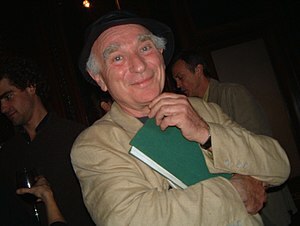 When Ken Campbell stands at the point where Mathew Street converges with Temple Court and remembers that his pockets are full of magnolia petals, he takes out the petals and lets them fall to the ground. Beneath the cobbles he can hear the sound of a lost river rising. He checks the Plimsoll line and notices that the old warehouse is rising on the tide. ‘Everything interesting in art happens at the start. Once past the beginning you’re already at the end.’ In the Bluecoat Gardens, trace elements of the 1911 exhibition of Picasso, Cezanne and Matisse hang in the air like dust. Captain Beefheart sat drawing charcoal birds beneath these very stars and, in the concert room upstairs, Sun Ra transported us to Venus, shining cosmic rays on the rooftops of Liverpool. In chemistry a radical is an atom, molecule, or ion that participates in chemical reactions. The most familiar free-radical reaction is combustion. As in chemistry, so in art. If you look hard enough you might still see Ken Campbell walking down Mathew Street, throwing bones for his dogs, scattering magnolia petals on the breeze. Or perhaps you will glimpse him, sitting in the rubble of the Bistro, as the building is demolished around his carnival soul. In 1980 Ken Campbell’s 20 hour long odyssey The Warp takes place on this very stage. Accusations of moral degeneracy result in the actor Eithne Hannigan head butting a journalist from the Daily Mail. We are all going to hell on a hand cart and it takes 23 hours to get there.